This class-A historic building, which sits in the heart of the prime Main Street section of downtown Ann Arbor, has been completely restored and is home to many landmark first floor tenants in Joy Studio: Freedom in Motion, Himalayan Bazaar, Rock Paper Scissors, and the Keith Hafner's Karate studio. Two, well maintained elevators take our many professional tenants and their clients to the upper floors of the building, which are beautifully appointed and maintained. In most cases, offices include all utilities. Furthermore, tenants have a 24/7 access to their offices and an intercom/door release system which provides clients with easy after-hour entry. Convenient parking is available for easy in/out use for tenants and clients alike. Our family owned and managed flag-ship property welcomes your tenancy. Please contact us for upcoming space availability. Built during the turn of the century this award winning, nationally registered historical building has been meticulously restored, in and out, to its original grandeur. It is home to two, long standing first floor retailers in the Carol Roeda Art Studio and the Ayla and Co. fine women’s clothing store. This prominent property, with its one-of-a-kind front copper canopy, sits in the center of the prime 300 block of South Main Street, between Liberty and William, where the best of retail, entertainment, and popular restaurants reside. Our well maintained second and third floor offices are occupied by many professional tenants. All utilities are included, 24/7 tenant access is provided, and an intercom/door release system provides secure and easy after hour access for clients. A conveniently located parking structure next to our building provides easy in/out parking for tenants and clients. Our family owned and managed property offers well-kept space at an affordable market rate. Please contact us for upcoming space availability. 333 South Main offers retail on the street level, and beautifully finished offices on the 2nd floor. 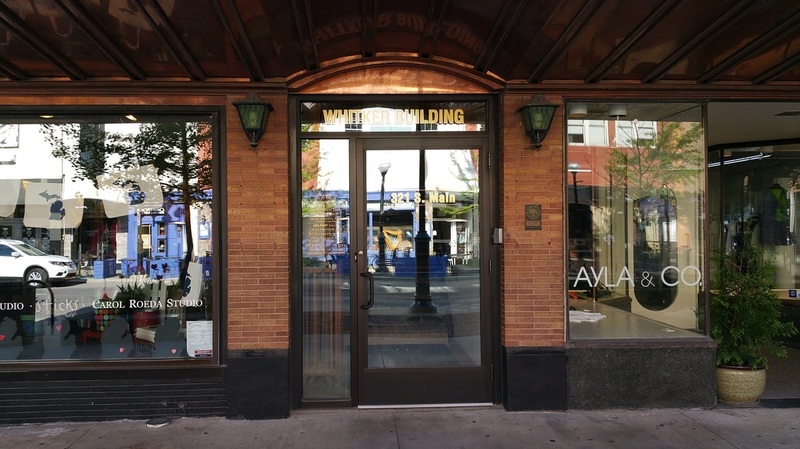 With a variety of floor-plan options, and being situated on the prime 300 block of South Main Street, this building is the perfect location for a multitude of businesses. This “Pace Setter” award winning building is home to the Alex Gulko hand crafted jewelry store, the nationally known Dominic Pangborn artist and his one-of-a-kind collections, and the popular Real Seafood Company Restaurant. 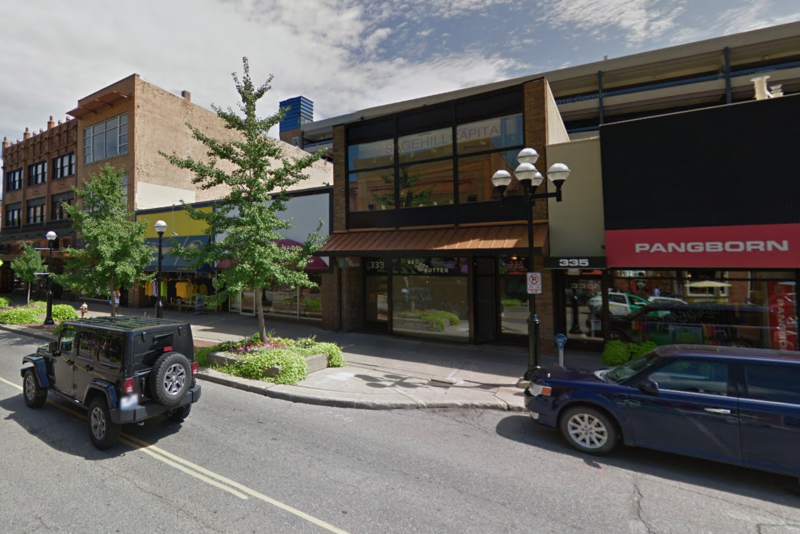 This property is conveniently located in the prime section of the 300 block of South Main Street, where wonderful retail, restaurants, and entertainment abound. Our well maintained second floor is occupied by many professional tenants. 24/7 tenant access is provide, and an intercom/door release system provides tenants with an easy after-hour client entry system. A conveniently located parking structure immediately next to our building provides easy in/out parking for both tenants and clients. Our family owned and management property offers well-kept space at an affordable market rate. 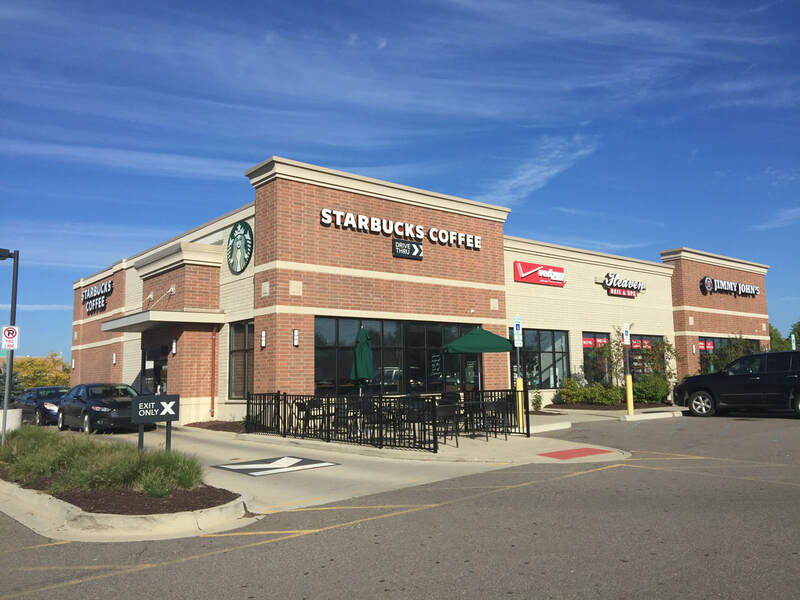 This prime west Ann Arbor location, near the heavily traveled Zeeb Road intersection, is convenient to both the I-94 and U.S. 23 highways, and is surrounded by exceptional retail outlets from national big box stores, banks, new car dealerships, and individual high-end retail. Our 1.7 acre lot has a 90 car paved parking lot and is home to the very popular, and nationally recognized Panera Bread Restaurant. 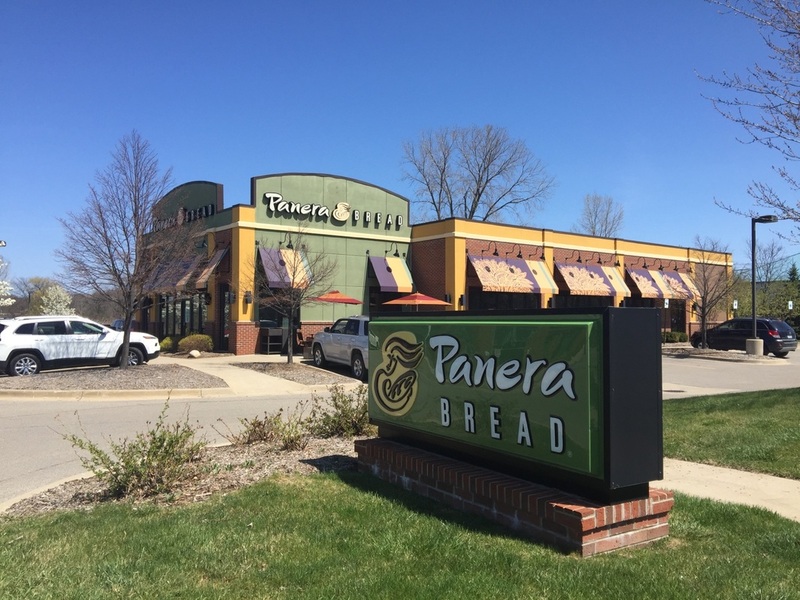 This 4,800 square foot building was built by and for Panera in 2004, which has a long term lease. We are very pleased to be associated with such a quality nationally recognized restaurant. This new Scio Square parcel-building is positioned within the heart of the prime Jackson and Zeeb Road retail district with Meijer located just behind its footprint on Zeeb Road. This property is conveniently located and easily accessible to I-94, US-23 and is only minutes from the core of downtown Ann Arbor. Our two-acre parcel, with over a 50-car paved parking lot, is the home to the nationally recognized Starbucks Coffee, Verizon Wireless, Jimmy John's, and locally owned high-end Heaven Nail & Spa. This property is surrounded by only exceptional retail outlets, from national big-box stores, banks, new car dealerships, and many restaurants. 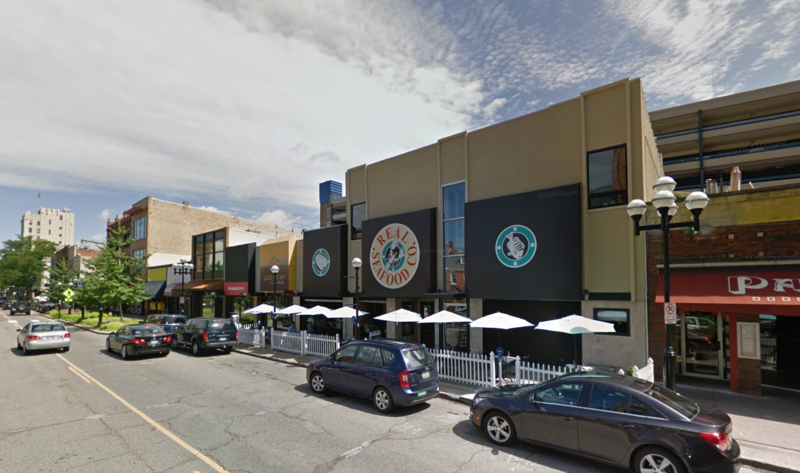 This site is also in close proximity to expanding, high-end apartment and condominium developments.